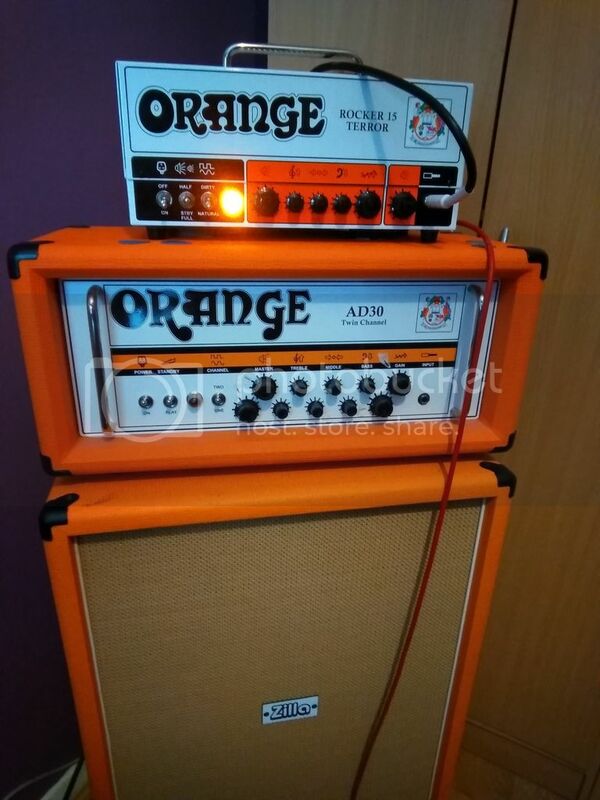 What are your experiences and which orange amp ? 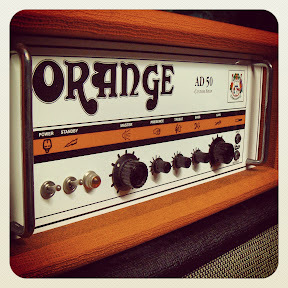 Re: Best 12ax7 to use inV1 in an orange amp ? sound good to my ears and I still hear the Orange tone. I just think the base circuit tone dictates the character of the amp. Tubes can refine it, but the “dna” is established when the designer conceived it in their mind. Last edited by adkguy07 on Sun Nov 04, 2018 7:02 pm, edited 2 times in total. JJ are pretty good, lack sparkle and top end, which can be lacking in low gain / clean settings, but great at limiting high gain sizzle. EH has more top end off sure, but are more prone to microphonic and feedback. Chinese preamp valves are pretty good too, so are Sovtek (similar to EH and manufactured in the same new sensor russian factory as EH, modern Tung Sol, modern mullard and so on). In vintage NOS, I've had great luck with RFT ECC83. Those have a fuller more rounded sound spectrum, and have a a pretty hard crunch break up. It worked marvels in my Genz Benz Black Pearl 30, helping me achieve more crunch and earlier and harder than with the original valves. Same result in my AD15, though the AD15 isn t lacking at all to start with. Great luck to with NOS Tungsram, with either welded (50/60s) or crimped plates (60s onwards). Those are again very full sounding, very pleasing, very sweet top end, and their break up is much softer, very much softer, very smooth. Ideal for blues, and really shines in the AD15 as the low gain and excellent gain control of the amp really helps highlight its softer break up. In any case, both the RFT and Tungsram are vastly superior in terms of sound quality than any modern production preamp valves I've had my fingers on (which is most of them to date). I prefer Ehx or harmas and have used these over many years in various orange amps...down to personal choice mainly, if you've got the money buy some different types..... Although I've never used the NOS ones... I may give them a try in the future. You, Sir Ronnie, can trust your ear. I believe Harma are rebranded EH. They look exactly the same. They might be screened and selected within certain parameters, but I believe it's the same valve structurally, so the manufacturer must be the same. At the end of the day, there are only 3 factories, JJ, New Sensor (EH, sovtek, tung sol, mullard....) and chinese Shuguang, for modern valves. I recently tried two full re-tube kits in my Dark Terror, a Sovtek with an EHX 12AT7 and a Tung-sol. I noticed with the Sovtek there was a slight drop in volume and noticeable less gain however, it was a much cleaner tone. The Tung-sol kept the volume as the stock JJs but an increase in gain was very noticeable. All in all, while I did like both scenarios, I much prefer the stock JJs which is a great balance for both. I been pondering a tryout of a full re-tube kit by EHX, TAD, and Mullards, maybe some others as well. I bought a load of JJ valves since all 7 of my valve amps use the same Ecc/12ax valve. To me the JJ works and sounds great and JJ isn't a crap brand. For the money, some valves are just crazy priced. Some day I may buy a few vintage mullards or some sovteks, but the JJs are great. I took the rubys out of one amp and I honestly cannot tell the difference. I doubt that any of the current valve producers are making low quality valves. The problem, I believe, is with quality control. Back in the heyday of valve production, the producers were sourcing raw materials to their own very tight specifications and had QC departments making sure that the materials met their requirements. Now the quantity of valves being produced is tiny and there is no reasonable way of maintaining the material quality. The same is likely also true of the finished valves. The producers will be monitoring the quality of their product but I suspect that any valve which works is somehow being released to the market. "Premium" brand valves will simply be those which pass the more stringent testing. Hopefully any valve which actually fails to work at all is being rejected. Those failed valves are quite likely to be an enviromental nightmare for the producers to dispose of. I use the above reasoning when I'm looking to choose valves. The New Sensor factory produces valves under a vast number of brand names. I've never been sure which are their actual premium products and suspect they vary the brand names to help confuse people and thereby sell inferior valves for higher prices. Having said that, I've not had problems with EHX branded valves. Shunguang seem to operate in a similar manner but maybe with fewer brand names? That really only leaves JJ. I really don't think valves made in the JJ factory are any better that any others but they only seem to use JJ as their own brand name. I feel that implies they will be of at least good quality. Anything else coming out of the JJ factory seems to be sold unbranded. Harma, Mesa and others, I think, buy unbranded valves in bulk and select the good ones through various unspecified testing regimes. None of the above has anything to do with minor differences in valve internals and possible tonal differences. It's fun to try different valves and I have played with quite a few. They do sound different but I've never been particularly sure which sounds best! Recently I've stuck with JJ and can't complain. i just wonder where the source of this information is coming from. I did read that Psavne were manufactured in a newish factory by some ex Shuguang engineers/managers. All I've read is internet hearsay, but it would be interesting. I thought winged C were made by new sensor too these days? yeah you got me. according to amplifiedparts.com winged c is made at both of the russian plants. it would be nice to know for sure. i wouldn't even know where to begin to actually verify this information. all i've ever read about it is on forums mainly. With the quantity of valves new sensor make, it would make sense, purely from a business continuity point of view, to acquire another valve plant. If they have specific plants on top of that, that's a bonus. I've seen some info that there may have been a Czech plant 10 or 20 years ago, there is only JJ in Slovakia now. The St. Petersburg plant stopped making valves not too long ago, and the Saratov plant is now making Svetlana, although with a different logo. any source for the st. petersburg plant news? i've tried to google search it myself and can not find anything about them not making tubes anymore. Since 2001, New Sensor Corp. has been holding the rights for the Svetlana vacuum tube brand for the US and Canada. The New Sensor tubes are actually manufactured at the Xpo-pul factory (former Reflektor plant) in Saratov. Tubes manufactured by Svetlana in Saint Petersburg still bear the "winged С" (cyrillic S) logo (see the image below) but no longer the name Svetlana. In 2017 the company announced a 3 billion ruble modernization plan. I use the new Mullard 12AX7s in my AD50 and EHXs in my AD15. I experimented a few times with PMs, Tungsols, JJs and the EHXs in the AD50 and the Mullards in the AD15... but this is where I repeatedly settle. And these days I’m running the MV as loud as I can and the Gain as low as I can. With the AD15 I use the stock V30 but with the AD50 I’m back favouring 2 x Greenbacks.